We can all be thankful that it's still possible to make a fortune by starting from scratch with little more than determination and a good idea. 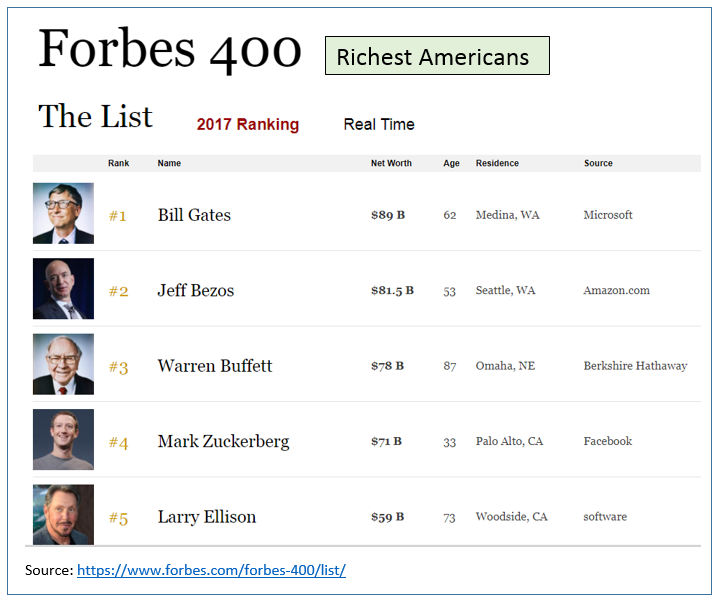 The Forbes list of the richest Americans shows that starting a successful company remains the best path to enormous success. Investors like us can often piggyback these titans of industry to achieve great wealth of our own. Warren Buffett, No. 3 on the list above, did just that through Berkshire Hathaway (BRK.A - Get Report) , (BRK.B - Get Report) . As of midyear 2017, it held over $162 billion in shares of other publicly traded companies. 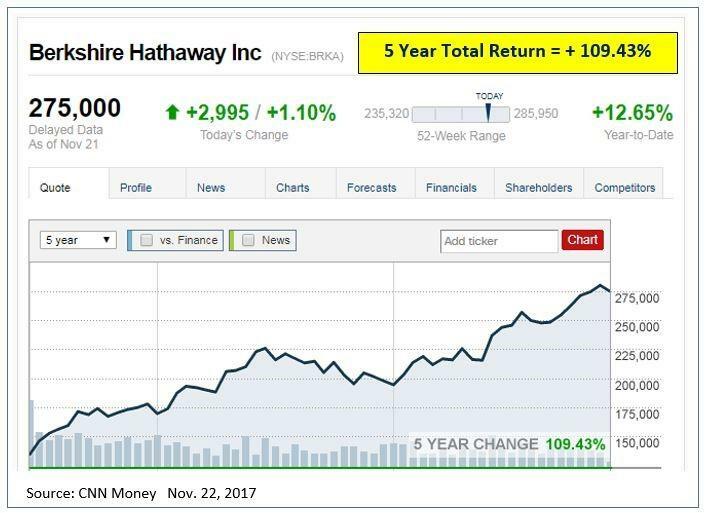 Ordinary people like us were ahead by 12.65% through Nov. 21, simply by owning Berkshire shares. Buffett didn't quite match the major averages so far this year, but he can't feel too bad. Over the trailing five years he and his shareholders have done pretty well. 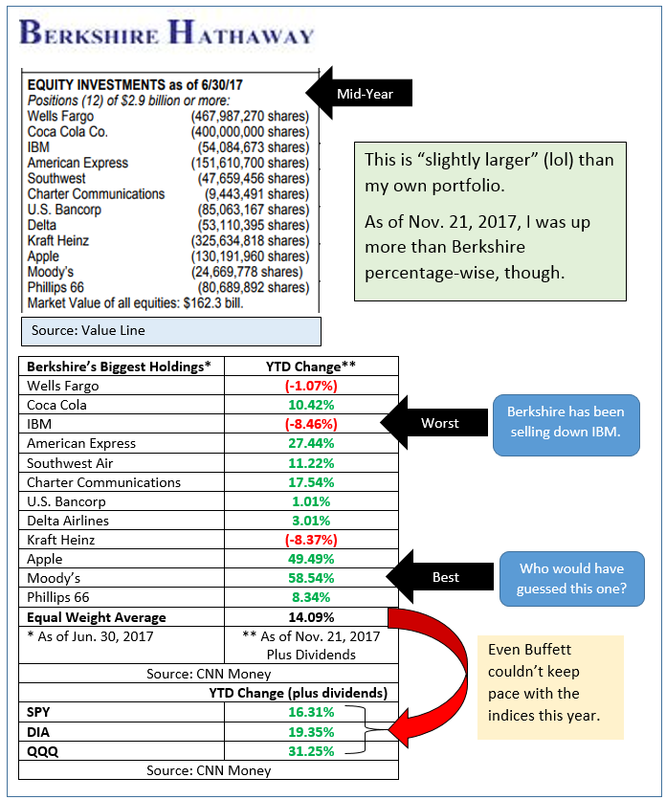 Berkshire's largest holdings have been a mixed bag in 2017. Its biggest winner was the under-the-radar Moody's (MCO - Get Report) , up a staggering 59% this year, surpassing the more glamourous Apple's (AAPL - Get Report) return. The biggest disappointment has been IBM (IBM - Get Report) , which declined by 8.46%. Buffett has owned Moody's for decades. He toughed out a major drawdown in 2008 and was rewarded with a huge (more than 870%) rebound since. 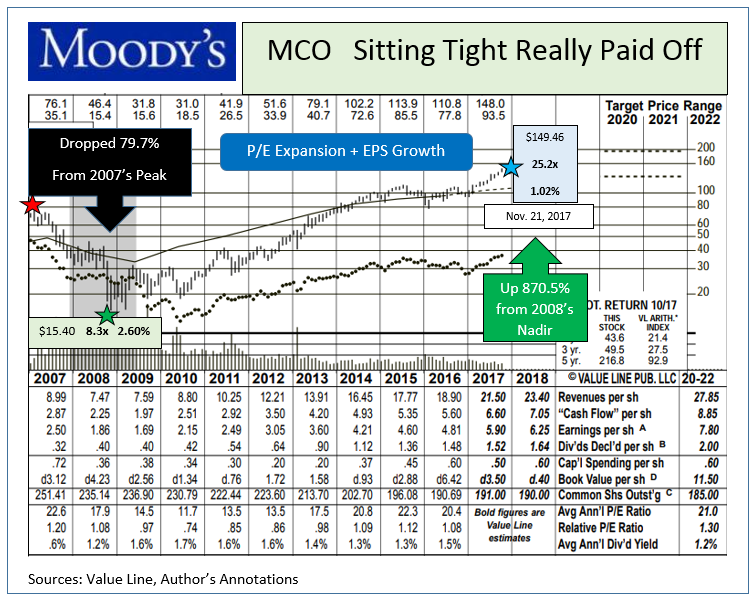 It took improved earnings and a tripling of MCO's P/E to accomplish that feat. 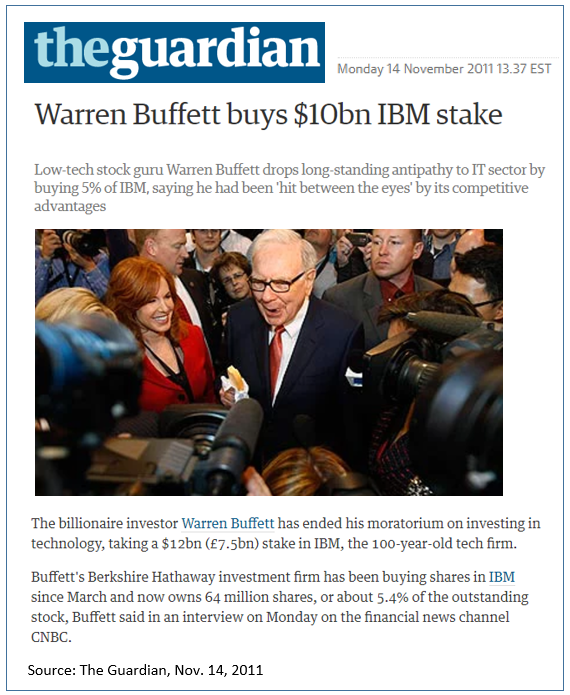 Berkshire's bad bet on IBM began with much fanfare in 2011, as he'd previously shunned technology stocks. Give Buffett credit, at least, for starting to scale out of a loser. He had been lightening up on IBM in recent months while bulking up his winning position in Apple. 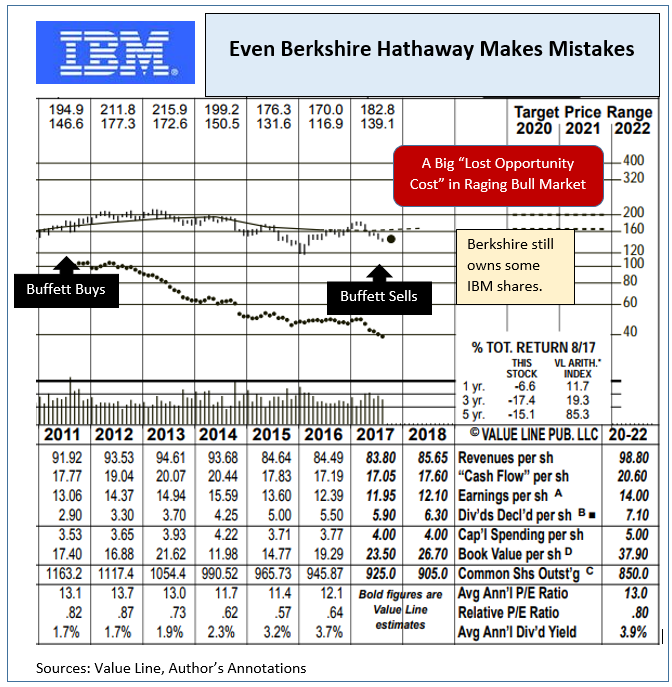 IBM's biggest cost to Berkshire was missing out on the good things that same capital might have accomplished elsewhere during the last six years of a raging bull market. What are the takeaways from analyzing Berkshire's success? The only thing that matters is long-term total return. You often need to hold through downturns to capture the biggest winners. Owning equities is the path to true wealth. Bonds and T-bills are not wealth creators. Dividends are OK, but they are not necessary when selecting securities. Everything works sometimes, but nothing works all the time. 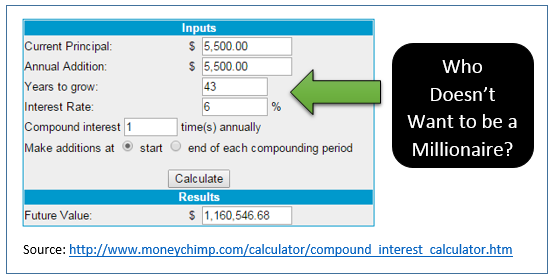 Getting rich in America is still possible simply through the magic of compound interest. Put $5,500 per year into a Roth IRA starting at age 24 and continue contributing to age 67. 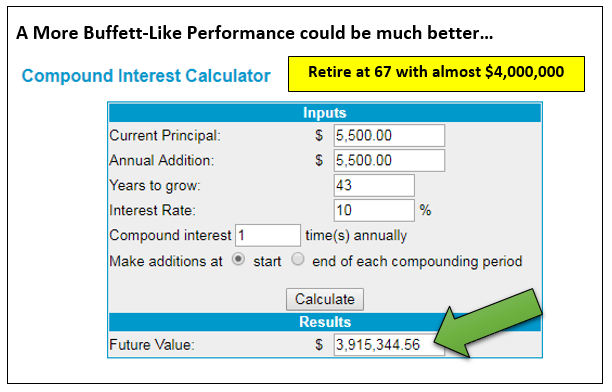 Even an uninspiring 6% annualized return will have you retiring as a millionaire at age 67. Six percent annualized isn't a very aspirational goal. Think big, read Real Money and stay invested in equities. Bump that return up to 10% per year and that same $5,500 per year in a Roth IRA can turn into almost $4 million by retirement day. Now that's something to be really thankful for. At the time of publication, Price had no positions in the stocks mentioned.